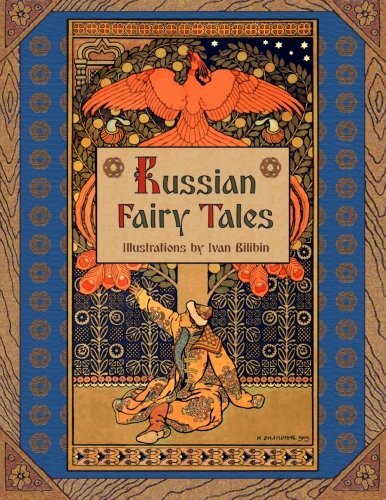 A richly illustrated collection of Russian folk tales: Vasilisa the Beautiful; Maria Morevna; The Feather of Finist the Falcon; The Frog-Tsarevna; Tsarevich Ivan, the Firebird and the Grey Wolf. The illustrations included in this edition were created in the early 20th century by Ivan Yakovlevich Bilibin — a famous Russian illustrator and stage designer, who was inspired by Slavic folklore throughout his career. He was a prominent figure in the artistic movement Mir Iskusstva and contributed to the Ballets Russes. The tales were recorded by the renowned folklorist Alexander Nikolayevich Afanasyev (1826 –1871), who collected and published more than 600 Russian folk tales in the middle 19th century.